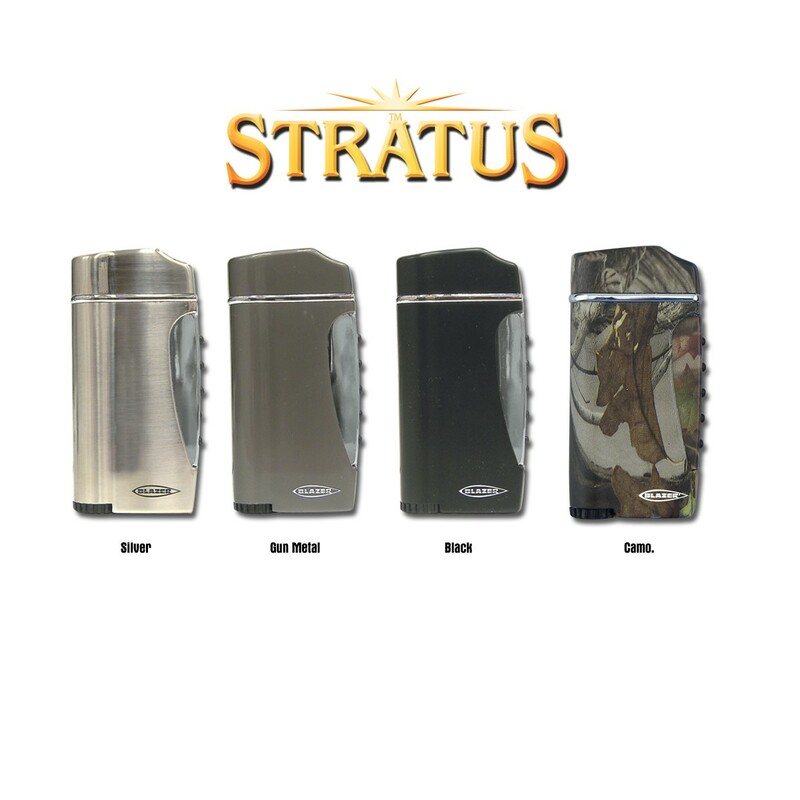 The Stratus features a unique squeeze activated ignition system embedded with soft touch rubber buttons. With one squeeze, the cover slides into the lighter, releasing a powerful blue torch flame. The Stratus also includes our quick-change fuel dial. 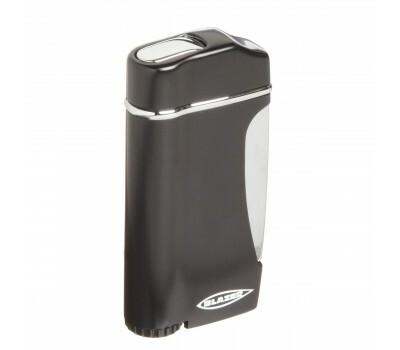 This allows on-the-go flame adjustment for variable altitudes and temperatures. 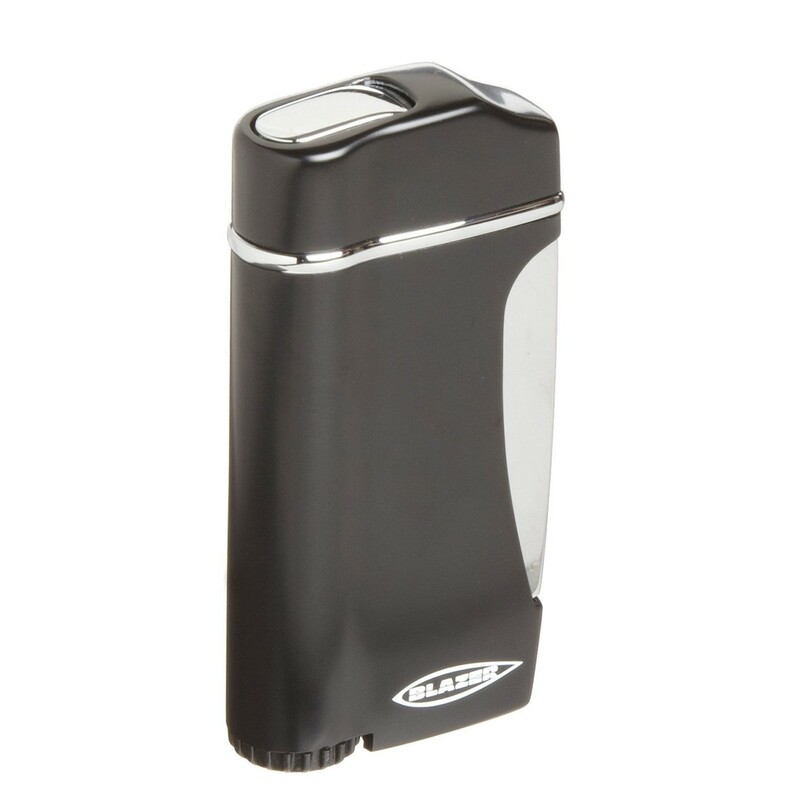 Now you can customize your lighter to suit your surroundings with a simple turn of the dial. 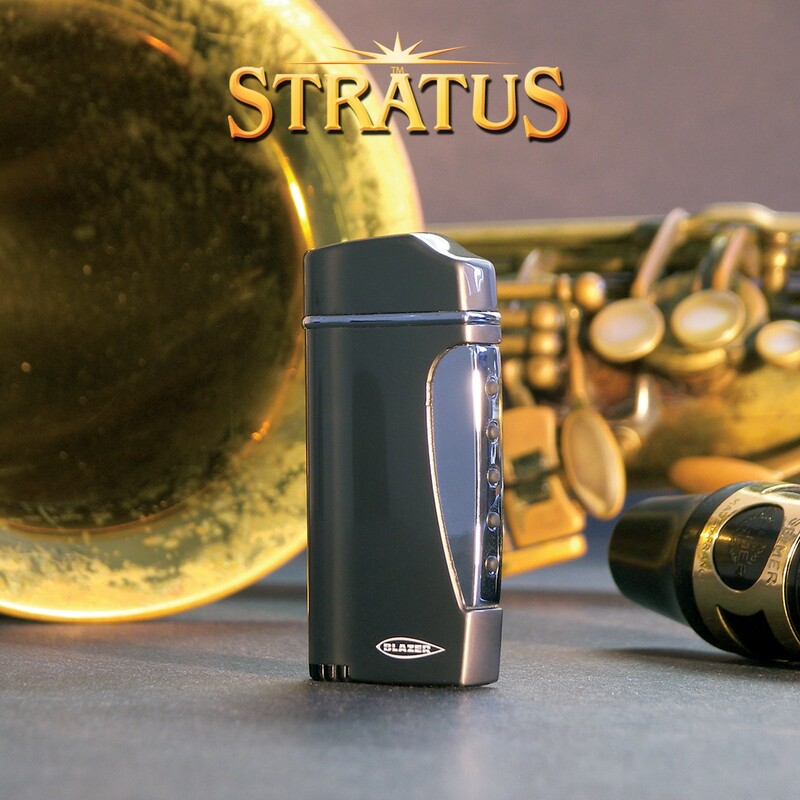 An essential instrument for any cigar aficionado, the lightweight Stratus hits all the right notes with style and ease.